Claremont McKenna is known for bringing textbook learning to life, and sometimes one need look no further than the metropolis right at our doorstep. 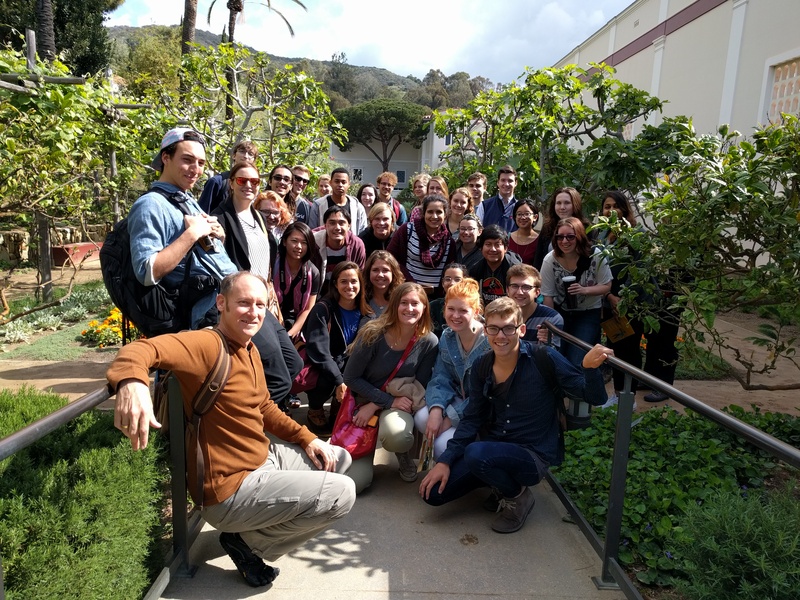 Forty-five students from Professor Shane Bjornlie’s Roman history classes and from the 5C classical studies program spent a day perusing the antiquities collection at the Getty Villa on April 10. The excursion was funded by CMC's Mellon Foundation grant. Professor Bjornlie, who led the expedition, asked each student to select an artifact to use as the subject for their final papers.